Liam Clarke (right), Commercial Manager of Bakwena - a strong advocate for the viability of Toll roads and why they will work. 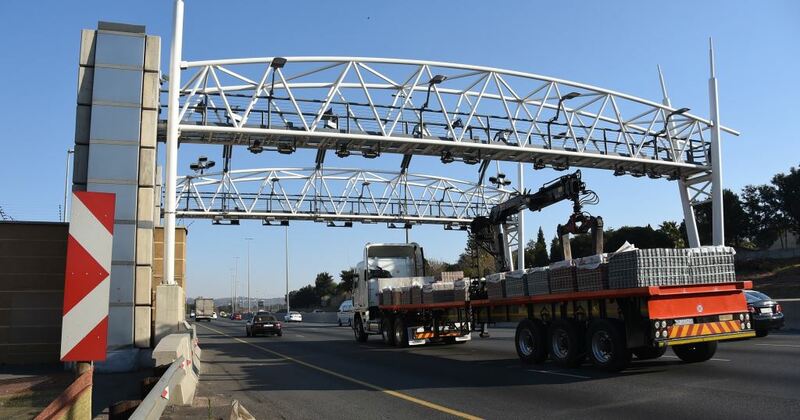 Editors’ Note: If ever you want to raise the hackles around a dinner table, just mention the word eTolls. Most people will choke on their schnitzel cordon bleu in the rush to voice their objections to such a disdainful practise. FleetWatch is a firm believer in the right of anyone to have their say and in this opinion piece, Liam Clarke, Bakwena Commercial Manager, puts forward his views on road funding. The Editor has not altered his submission in any way – even leaving the heading in as received. Do you agree or disagree with him? Let us know by dropping us a Letter to the Editor at fleetwatch@pixie.co.za. Brace yourself. Here he goes…. Opponents of road tolling are certainly not stupid – we know that. Their arguments deserve serious consideration. But in the end, most concerns are self-serving in nature with few people willing to look at the greater good. I am convinced that should any person be able to look at the issue completely objectively – not from the viewpoint of how it would affect their personal wallet – then the benefits of tolling would be seen to swamp the potential costs. There’s a basic economic rule at play here: one that says when you give out something valuable – in this case, road space – for less than its true value, shortages result. This means that instead of paying with money, you may pay with the effort and time needed to acquire the goods. In the case of roads, this rule materialises in the form of congestion, traffic gridlock and time spent in traffic. We all remember what driving (or crawling) on Gauteng’s provincial freeways used to be like before urban toll roads were constructed. For a parallel, think of Soviet shoppers spending their lives in endless queues to purchase artificially low-priced but exceedingly scarce goods. Numbeo’s 2016 Traffic Index shows that South Africa is the 5th most traffic congested country in the world. 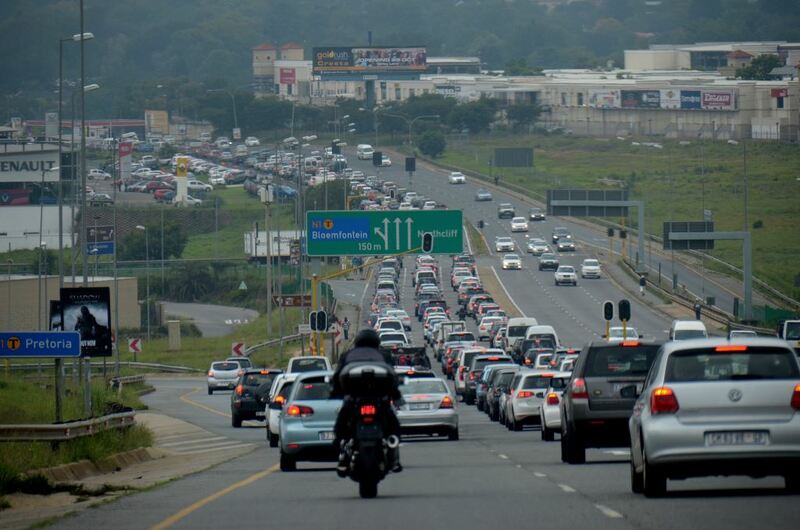 On average, it found South Africans spend 43 extra minutes in traffic due to traffic (going one way). 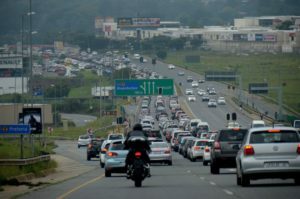 During last year’s EcoMobility World Festival and Transport Month, the economic impact that results from congestion in the whole of South Africa was estimated at over R1-billion. There are 1.5 million vehicles just in Johannesburg and at an average delay of 43 minutes each way, that’s more than 675 000 hours lost every year – without even considering multiple passengers per vehicle. With government struggling to meet even its current socio-economic obligations, how do we solve this growing burden on our nationwide transportation system and every individual who uses it? Government does not have sufficient funds to improve existing freeways in meaningful ways to reduce congestion. This is a problem common throughout the world – even more so in emerging countries which are experiencing rapid spikes in the number of vehicles on their roads. The solution being found in many countries is the use of toll roads. The writer says that toll roads helps businesses save time and money by improving productivity and economic vitality as a result of not having their vehicles sitting in traffic. Toll roads are built at no cost to taxpayers – the concept of toll roads is to place the funding burden on users, rather than the over-used petrol levy. There is an argument that ‘why should we pay to use roads that we’ve already paid for?’ Many of our roads (as is the case around the world) are anything from 25 to 60 years old, at which point maintenance becomes a major cost, just as it does with older cars. So these roads are no longer ‘paid for’. Free traffic flow – most toll roads employ technology that reduces delays and improves the free flow of traffic. For instance, instead of stopping to pay, drivers either pay with an electronic tag connected to a prepaid account or by having their license plate recorded and delivering monthly bills. Saving time and money – as seen in the above example, South Africans waste 7½ hours a week in traffic congestion. When drivers take the toll road option, they reduce their own wasted time as well as that of all traffic. 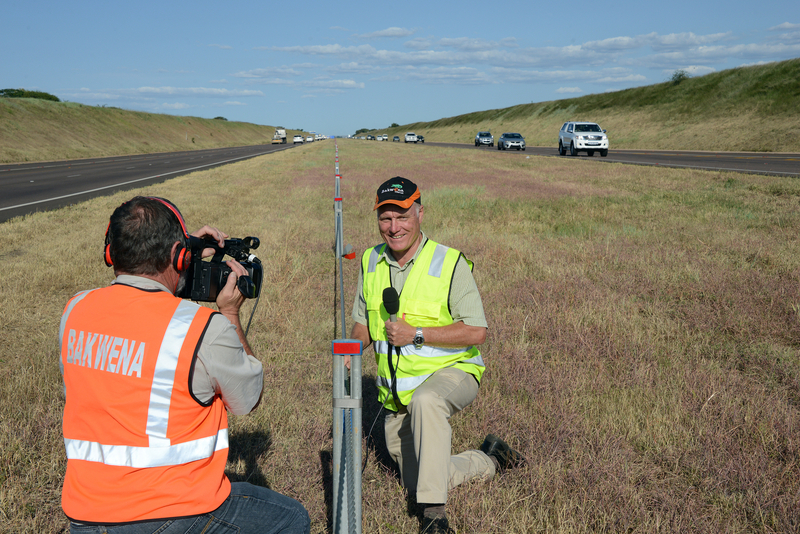 Greater safety – toll roads can play an important role in alleviating congestion and accidents on the road. Toll roads reduce pollution and fuel consumption – this is achieved as toll roads reduce hours spent idling in gridlocked traffic and by enabling vehicles to move at more fuel efficient speeds. Benefits to businesses – using toll roads helps businesses save time and money by improving productivity and economic vitality, as a result of having their vehicles not sitting in traffic. The writer says that one of the benefits of toll roads results in free traffic flow in that most toll roads employ technology that reduces delays and improves the free flow of traffic. Instead of stopping to pay, drivers either pay with an electronic tag connected to a prepaid account or by having their license plate recorded and delivering monthly bills. On the last point above, business has raised concerns in the past – in 2010 to be precise. Regarding congestion on the Ben Schoeman highway between Johannesburg and Pretoria, the estimated cost to business then was put at R15-million an hour. Given national budgetary constraints and the ability of tolling to deliver much needed road infrastructure much quicker than the traditional way of funding roads from general taxation, the greater good of tolling is something we all should seriously take into consideration when debating road funding.